Create drag and drop analysis, visualize complex data, and deploy location applications in the cloud that optimize your business operations. Where should I place my next store or distribution center? How can I optimize my sales territories to maximize profits? Where is the optimum location to reach my target audience? Where are my economic outliers and high risk clusters? How can I predict changes in real estate and income to plan future investments? 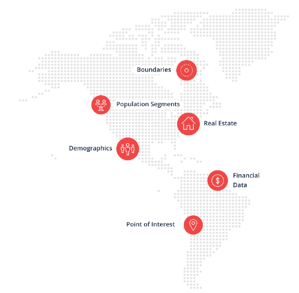 Deploy fully custom Location Intelligence Applications that create business impact exactly how you need it. Enrich your own data and analysis with everything from home prices to commuting patterns. Discover what your data alone isn’t telling you. Inform geomarketing strategies to reach key audiences. Analyze demographic and commuting information with walking and driving distances to identify new client segments and marketing opportunities. Identify the best locations to expand your business. Quickly model current asset distribution and identify commercial opportunities for new stores or service and product distribution centers based on competitors, financial data, and homeownership rates. Predict the best neighborhood for your next investment. 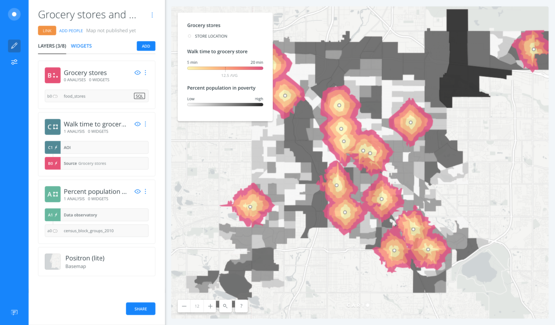 Combine real estate data with advanced spatial analysis to predict trends and market volatility with access to homeownership rates, commercial data, and Zillow home prices. Do you want more information on how CARTO can help your company? Fill in the form below.